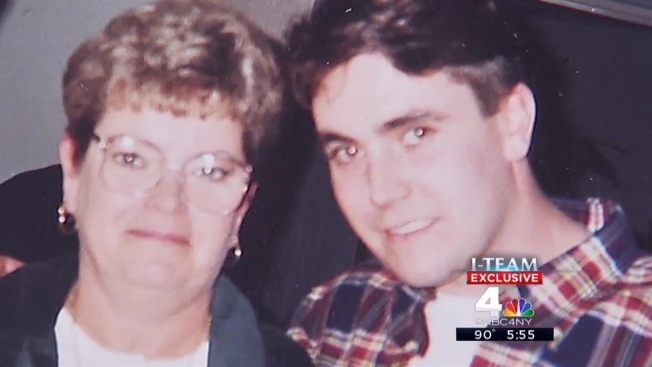 Two former employees at the Nassau County Correctional Center tell NBC 4 New York's I-Team cost-cutting by the jail's health provider may be costing lives. The pair of insiders spoke exclusively to the I-Team after the county renewed its contract with Armor Correctional Health Services, a physician-owned company that provides medical, dental, and mental health services to patients in jails and prisons, despite several complaints and legal claims alleging the private medical provider routinely neglects inmates' health needs to shave costs. “Medications are being cut, supplies are being cut, positions are not being there," said a former Armor nurse who says she recently left the company partly because of concerns the company’s policies could put her nursing license in jeopardy. "I don’t think there should be a price tag on anyone’s life." She asked to remain anonymous for fear that speaking out could jeopardize her new job. In May, she said Armor failed to order proper tests for an inmate complaining of chest pains. That inmate was later pronounced dead at the hospital. After the inmate's family members filed a notice of claim against Armor, the I-Team was able to confirm his identity, Tony Marinaccio, a 53-year-old man jailed for attacking a police officer when police responded to his home during a domestic dispute. "Everybody's medical needs should be attended to properly," said Gloria Gazzola, Marinaccio’s sister. Citing health privacy laws, Armor Correctional Health Services did not comment on individual inmates’ cases. But in a statement emailed to the I-Team, the company said it "has a proven record of delivering quality health care to more than 40,000 patient-inmates in eight states." Armor says cost is never considered when providing inmate health care. The firm says inmates get their medication and treatment promptly. Dozens of lawsuits have been filed against Armor Correctional Health in the last five years, according to federal court records. An attorney for Marinaccio's family, Harry Demiris of Westbury, said Tony Marinaccio did more than just tell jail medical staff that he had chest pains; he provided them with medical records that showed he had a pre-existing heart condition. “If you undertake the responsibility to render medical care, you have to render medical care appropriately,” Demiris said. The Marinaccio family also intends to sue Nassau County for failing to supervise Armor's provision of jail health services. That could put taxpayers on the hook for any potential wrongful death payout. The Nassau County Sheriff's Department, which runs the jail, renewed Armor's $11 million contract after it expired earlier this year. Acting Nassau County District Attorney Madeline Singas has questioned why the county sheriff failed to obtain bids from other jail medical providers before the Armor contract came up. "The legislature was left with renewing a contract or having no health care provider in jail. That’s a situation we shouldn’t be in," Singas said. Singas is now looking at whether the county’s deal with Armor violates contracting rules. The investigation is part of an unrelated review of dozens of county contracts that her office initiated in April. A spokesman for Nassau County Sheriff Sposato did not address Armor's contract renewal process, but praised the company for providing "enhanced inmate health services” and increased public safety because inmates no longer need to be transported out of the jail for many medical services. Before 2011, the year Armor took over, the sheriff's department paid Nassau University Medical Center to handle jail health care. Ronald Lanier, a former jail guard who spoke exclusively to the I-Team, criticized Armor for avoiding the use of outside medical services and being dismissive when inmates complain of serious pain or illness. "I may come down and take an inmate, and he says 'I’m hurting' or whatever, and I witnessed some of the practitioners say, ‘Nothing is wrong,’ and send them back," said Lanier, who retired as a corrections officer in 2012. Lanier says he noticed a drop-off in care after the county handed over responsibility for the jail infirmary to Armor. "I've been there many times when [medical staff] wanted to send a patient out and the medical director says, 'I'm not sending that patient out,'" said the former Armor nurse. John Gleeson, Sr., a retired firefighter, claims Armor's failure to get his son to the hospital in a timely fashion led to his death last year. Gleeson has also filed a notice of claim against Armor and the county. “I just can’t comprehend how they could treat another human being like that,” said Gleeson, whose son died after a medical condition caused his head, neck and chest to swell and constrict his breathing behind bars. "Help came way too late," said Gleeson's civil attorney, James Pascorella. That inmate suffered chest pains but regulators said his death “may have been prevented” if Armor had given him "timely and appropriate care." This spring, Marc Gann, a criminal defense lawyer and former head of the Nassau Bar Association, wrote to Sposato warning that the problems with Armor "must be addressed." A local judge also raised concerns on the record. Gleeson said Nassau County should follow New York City's lead and return the responsibility for jail medical care to a public hospital system. After a string of deaths at Rikers Island, Mayor de Blasio said he will let the contract with another jail medical provider expire and allow the New York City Health and Hospitals Corporation to treat sick and injured inmates. “I don’t understand how no one is stepping up and saying we have to make some changes,” Gleeson said. Lanier said something needs to change soon. "These are somebody’s kids. These are somebody’s dads. These are somebody’s brothers," he said.